Ken Block and Alex Gelsomino of the Monster World Rally Team have claimed their fifth consecutive 100 Acre Wood Rally win. 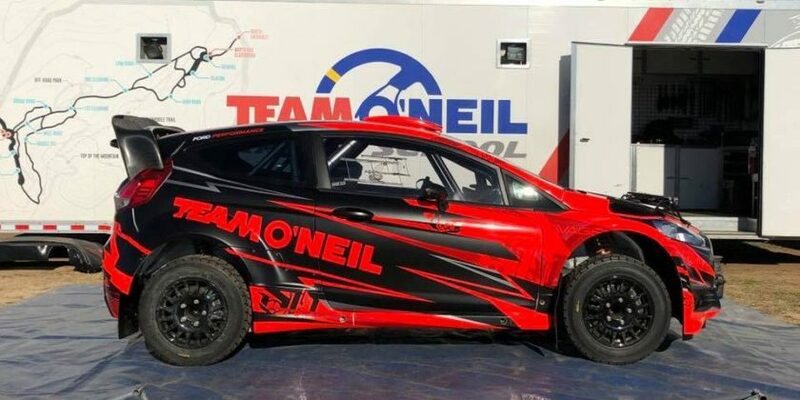 Block drove the Open Class Ford Fiesta to victory despite having a tough first day and starting the second leg over a minute behind rally leader, Travis Pastrana. The Ford driver was able to gain some ground after Antoine L’Estage dropped to third place due to a water crossing visibility issue and a puncture on the second stage of the day. Subaru Rally Team USA’s Travis Pastrana held a fast pace and a comfortable lead over Block and L’Estage until Pastrana broke his car’s left rear control arm on the Super Special Stage in Potosi and was unable to continue. With Pastrana out of contention, L’Estage pushed to catch Block and posted comparatively close stage times with him, but Block was able to maintain his lead to the end. Having secured his consecutive second-place finish this season, the Rockstar Mitsubishi Evo driver from Quebec now leads the Rally America Championship with 34 points. Privateer Bill Bacon joined L’Estage on the podium again despite having some difficulties with his Mitsubishi’s new set up, but Bacon’s consistency has now put him second in the overall championship standings with 28 points. Subaru Rally Team USA’s, Dave Mirra, driving an Open Class car for only the second time this season placed 4th overall for his best finish to date. The father-son team of Travis and Terry Hanson had another remarkable performance, winning the Super Production class by over two and a half minutes over their closest rivals. 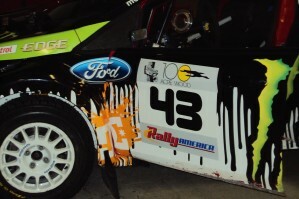 Attrition was heavy in Super Production, with several crews retiring throughout the rally with various mechanical issues. Tim Rooney and Dennis Hotson placed second in class followed by Wazoo Racing’s Tim Penasack and Alex Kihurani. In the 2-Wheel Drive Class, Chris Duplessis and Catherine Woods remained dominant with another win in their 1990 Volkswagen Golf. Duplessis had reported alignment problems on the first day of the rally, but finished 10th overall with a nearly six minute spread over reigning Group 2 Champ, Dillon Van Way. John Conley and Keith Rudolph finished third in class. The Rally in the 100 Acre Wood also hosted the Rally America Regional Championship, where regional winners from 2009 gathered to shoot it out for top honors. 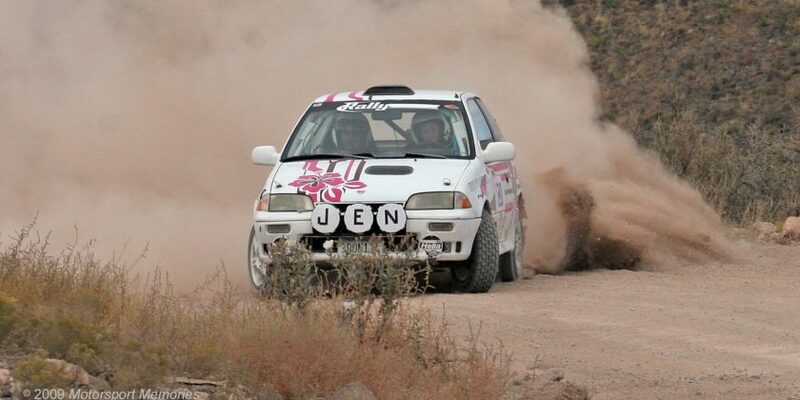 This year, the husband-wife team of Henry and Cynthia Krolikowski won the showdown for the Central Region in an Open Class 2000 Subaru Impreza. 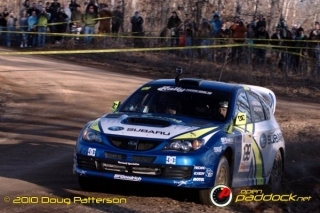 The next national event on the Rally America calendar is the Olympus Rally in Olympia, Washington this April 24-25.